Growing up my Dad worked for a large corporation that required that to be promoted he had to move. My Dad was hard working and successful and we moved a lot. My folks knew when they bought at house that they’d be selling it in 3-5 years. They knew that they had to buy something that they could easily sell. This is why they favored new construction. It worked. Their homes always sold easily and they did very well with their real estate investments. This leads me to scenario #1: new homes. They are the latest in what’s popular. Builders build homes to sell them and make a profit. They study the market and are absolutely on the cutting edge of the latest trends. What is hot right now is ultra contemporary. 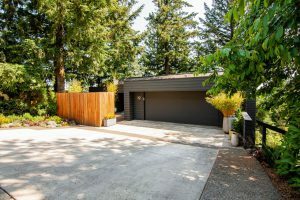 Houses with dramatic expanses of flat and angular roofs, big windows with soaring vaults, great rooms, massive master suites, these are all part of the current formula. Scenario #2: a house that is 15-30 years old. These are the houses that used to be hot, but the styles have changed. They are also just new enough that everything still works, but that the useful life of some of the expensive components (think roof, furnace, air conditioning) is nearing the end of its expected life. I think this is the roughest stage in the life of a house. Buying one of these houses will be a great value. Here in LO, you’ll get a lot for the money. The houses have the big spaces with good sized rooms and 3-car garages, but probably need remodeling. It takes money to bring these houses in line with what is “hot”. You’ll get out of them what you put into them. They are a great investment. Scenario #3: the golden age that stretches into the future. These are houses that have aged past what is “hot” and have become classic. That is what is happening right now with houses built between 1960 and 1980. The NW Contemporaries that were so popular when they were built have become architecturally important and truly stunning when in good condition. This is the time when all of the maintenance and up keep pays off. A house that is well cared for through the ages will remain a great investment and hold onto and build in value. This golden age includes the post WWII cottages in First Addition, the farm houses and bungalows in Lake Grove, and the 1950’s daylight ranches in Palisades. These houses have aged to a point where what’s in style no longer impacts them, they are classic. As a house ages the various owners will be making lots of decisions about improvements and remodeling. That is human nature. I want to make what I think is an important point: respect the era of the home. Please don’t try to make a 1923 bungalow into a contemporary by taking out all of the original wood work and tearing out all of the walls. I showed a bungalow just recently that my buyer was super excited to see. We walked in and there it was, a massive, floor-to-ceiling fireplace completely refaced in lava rock. I’m sure it seemed like a good idea in about 1980, but today it’s an eyesore. The house would be so much more desirable if the original fireplace was still there. Do upgrade components like the furnace. Do upgrade the energy efficiency. Do the maintenance and keep the house clean and painted. But also appreciate the architecture of the original design. If that is respected, the house will truly shine. I want to end by showing the before and after of a 1982 house in Mountain Park. This is a perfect example of how a style reaches the “classic” status. The before photo was from when the house sold in 2011. It had grown a little “tired” but had all of those great contemporary lines. The after photo is from about a month ago. 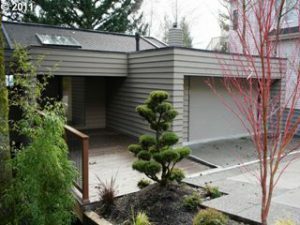 The current owners appreciated the clean lines and have made that house shine, all while honoring the original design. This house is aging well. It sold in about 12 hours when it hit the market. None of this is based on anything more than my observations. I love new homes, and I love older homes. Houses are pretty interesting, if you ask me.